A number of people in an east Austin neighborhood are raising concerns over a demolition project that they fear will place asbestos fibers in the air. According to KTBC, a vacant building near Fairway Street and Montopolis Drive is being demolished by a local company, which contracted out an abatement company to get rid of old asbestos from the building. Danny Perez, the President of the Montopolis Neighborhood Association-El Concilio, told KTBC that he believes the building’s asbestos fibers are leaking into the air. Perez said that he is worried that people in the neighborhood are going to get sick. 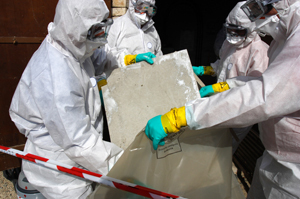 Asbestos exposure, whether direct or second hand, can result in mesothelioma and other forms of cancer, including stomach cancer, throat cancer or kidney cancer. If you or someone you love used or worked around asbestos-containing products and have been diagnosed with mesothelioma, you may have legal options for compensation. Contact our firm today at 1 (888) 637-6347 for a free, no-obligation consultation.